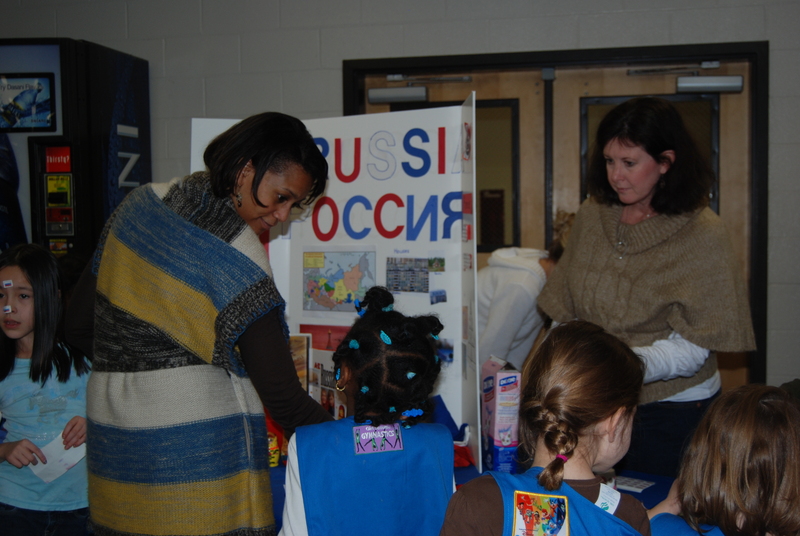 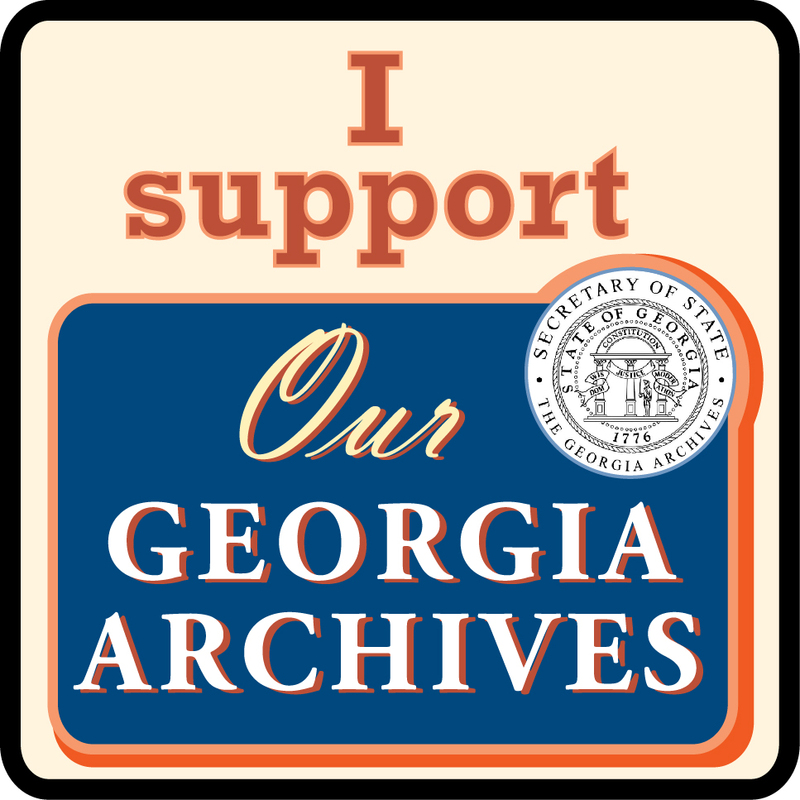 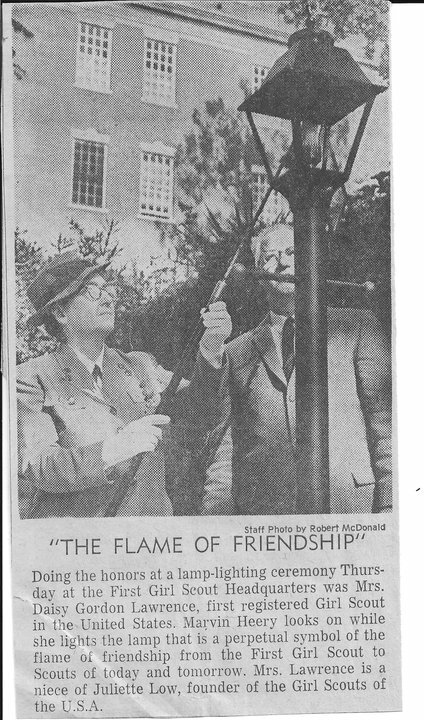 In the spirit of celebrating Georgia Archives Month, the Archives of the Girl Scouts of Greater Atlanta is starting a blog to keep our users up to date on the collection and events of the Archives. 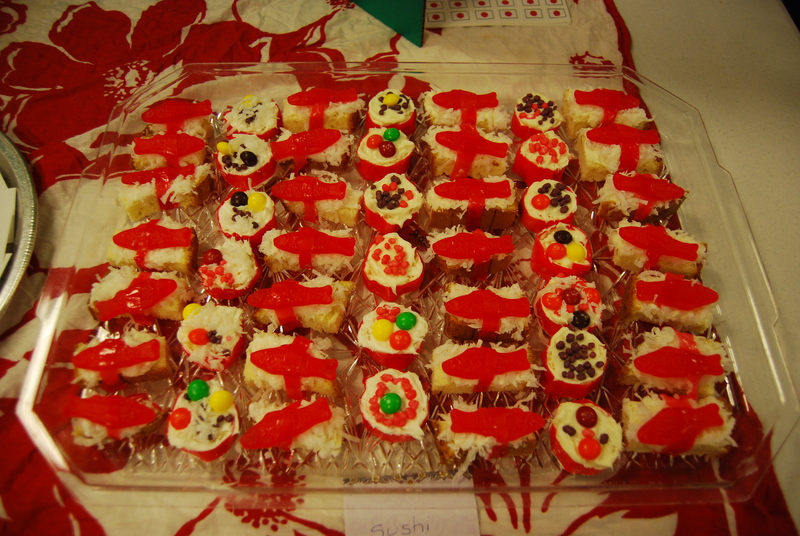 We welcome your comments, suggestions, and look forward to treating everyone to more than just cookies! 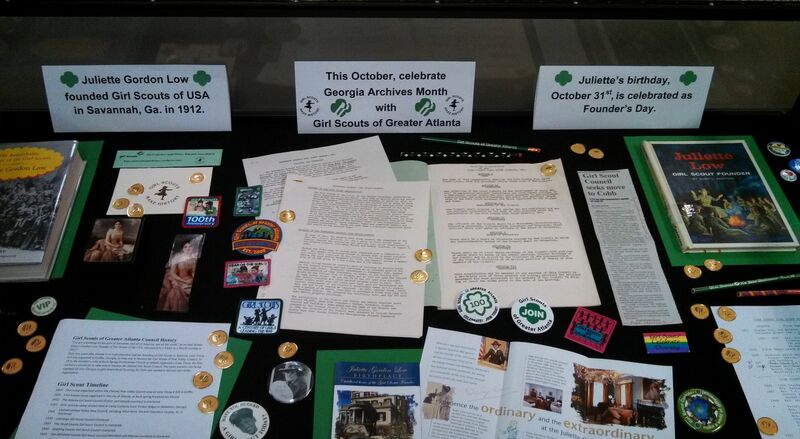 Come visit our new display at the Service Center of the Girl Scouts of Greater Atlanta. 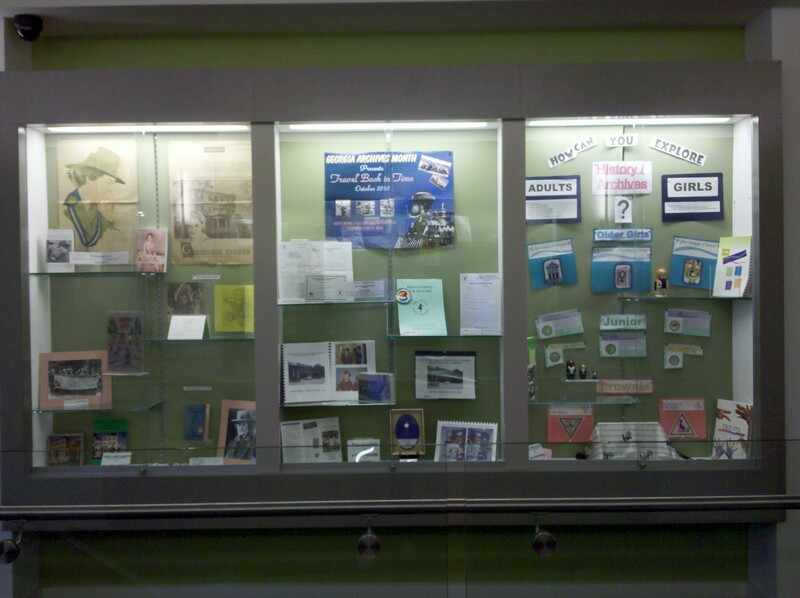 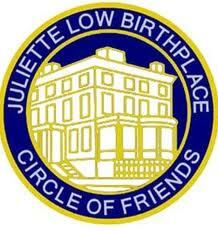 The display features items about Juliette Gordon Low, the Council Archives, as well as information about current badges relating to history. 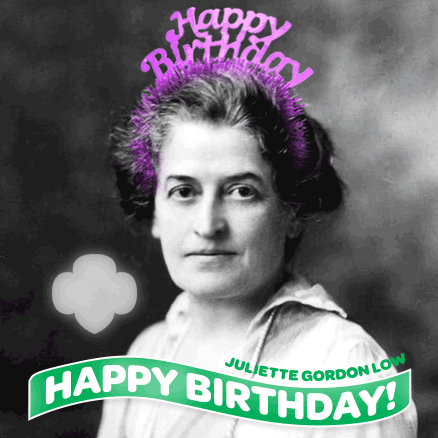 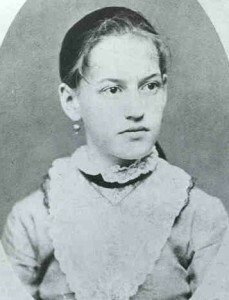 We are featuring Juliette Gordon Low, not only because of Archives month, but also because it will be her 150th birthday on October 31!